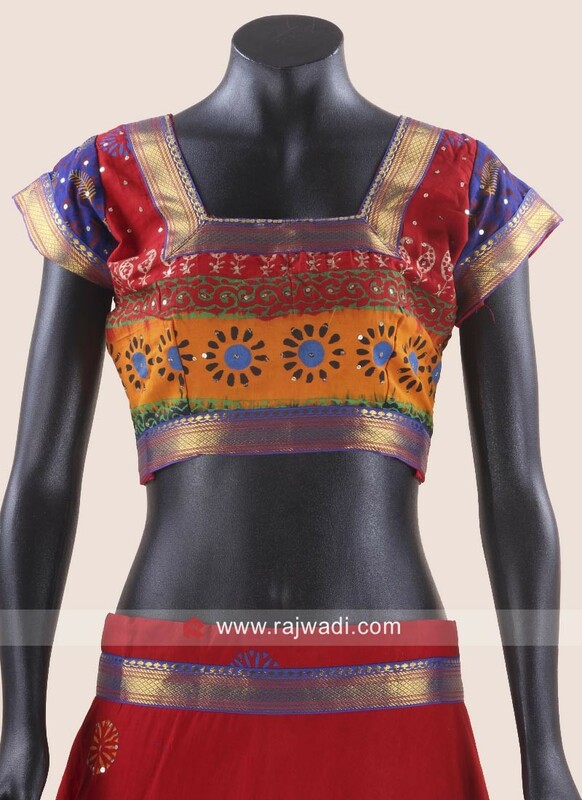 Traditional Cotton Chaniya Choli is ideal for Navratri. 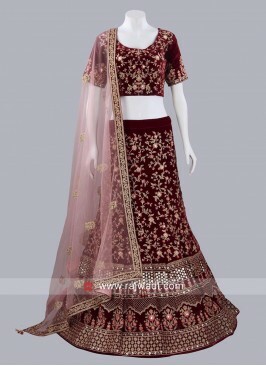 It is designed with sequins and zari embroidery on it. 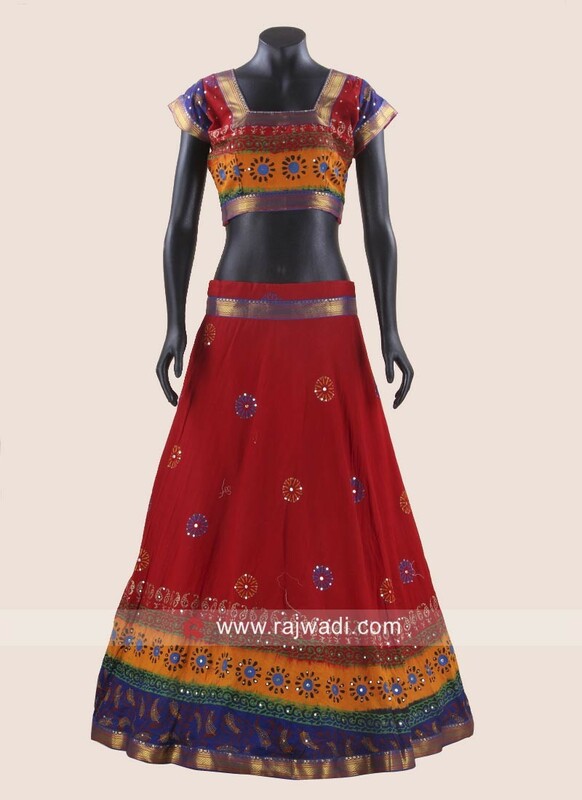 Comes with designer Choli and Chiffon printed dupatta having golden border. 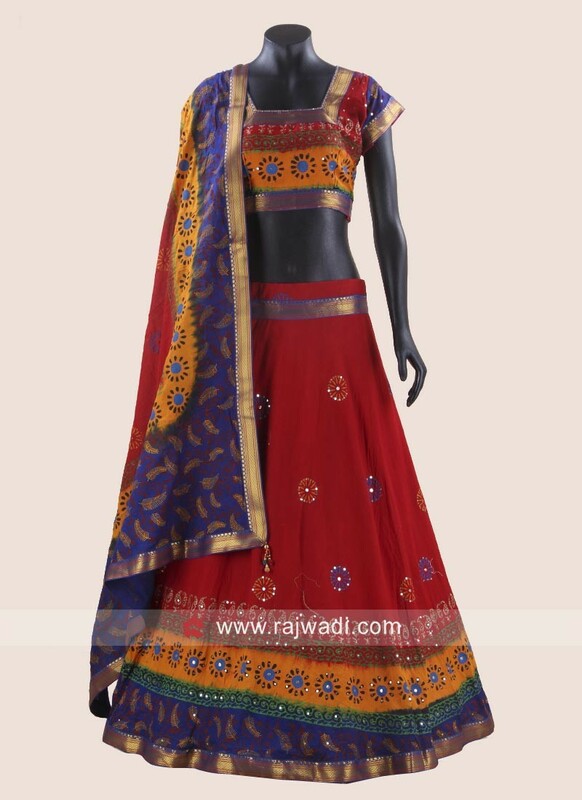 Chiffon and Raw Silk Desi.. 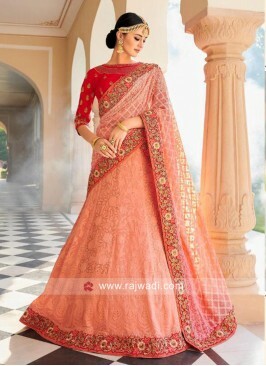 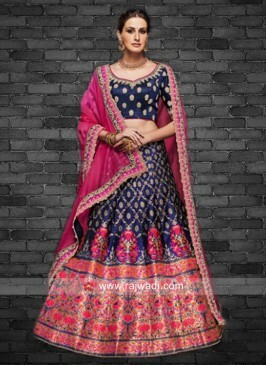 Bridal Lehenga Choli in V..